The renaissance of the arcade boxing genre is upon us. 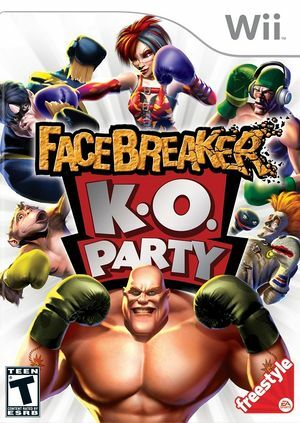 Created by the same team that developed the award-winning Fight Night Round 3, FaceBreaker offers irreverent fun, immersive gameplay and eye-popping stylized graphics. In this in-your-face, arcade world full of ego-wielding characters, each boxer comes to life with unique attributes and distinct personal style, including Romeo, a Latin lover known for his pelvic thrusts, and Molotov, an oversized Russian demolitions expert with a penchant for fighting dirty. The graph below charts the compatibility with FaceBreaker K.O. Party since Dolphin's 2.0 release, listing revisions only where a compatibility change occurred.